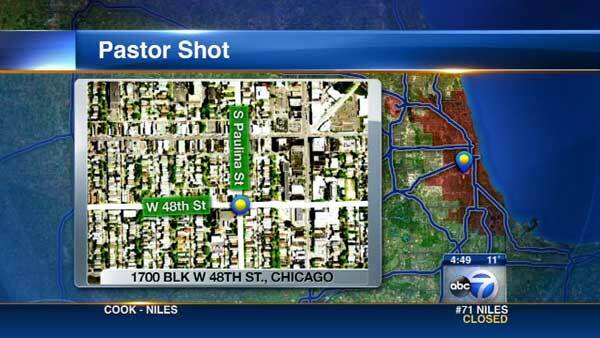 CHICAGO (WLS) -- A pastor was shot inside a church in Chicago's Back of the Yards neighborhood. Police said the gunman opened fire on a crowd of people inside the small church in the 1700-block of West 48th Street around 3:30 p.m. Sunday. The 40-year-old man was wounded in the arm and taken to Stroger Hospital in serious condition. There were no other injuries reported.